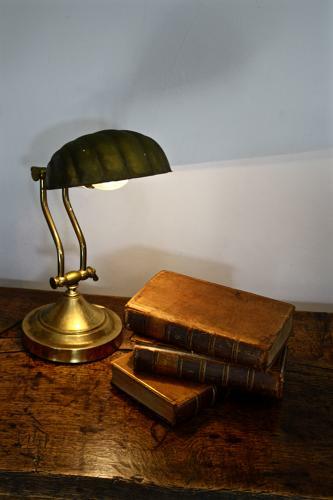 Adjustable scallop shell brass reading lamp. The maximum height is 43cm and the minimum 30cm. In full working order and has been PAT tested.